On this personalised experience, discover Tokyo’s must see places, shrines markets and the most famous tourist sights as you explore the city with a Local Host. You’ll see the very best of the city and tick Tokyo’s top spots off your bucket list, and your Local Host will show you a few secret local spots along the way too! See Tokyo through the eyes of a Local Host who knows the city inside out and can show you a unique side to the main tourist sites that you’d never find in a travel guide - so ditch the guidebook and get ready to discover the real Tokyo! Join a Local Host and discover Tokyo’s top attractions and explore its most famous neighbourhoods and hidden gems- all through a local lens of course! 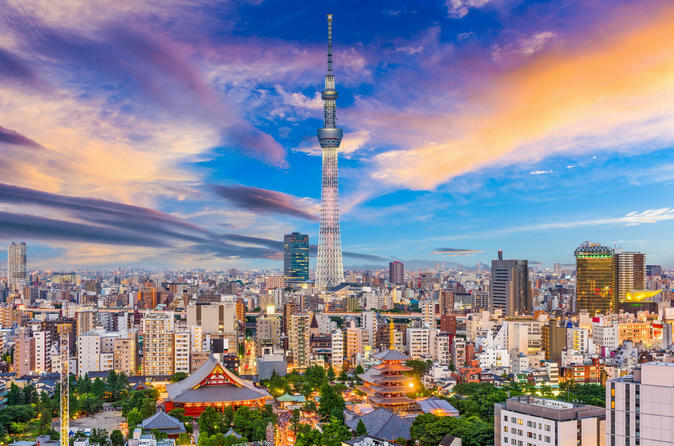 Choose which of the city’s top attractions you most want to see, as well as stopping by local spots and places of interest along the way to get an authentic insight into local life in Tokyo. During the experience, you could stop to try a Japanese cake and traditional tea, or grab some authentic street food at one of your Local Host’s favourite spots, somewhere that suits your preferences, budget and dietary requirements. Your Local Host will also advise you on the best way to spend the following days of your trip, allowing you to discover other areas of Tokyo that you will love and revealing other hidden gems that they know you’ll love.